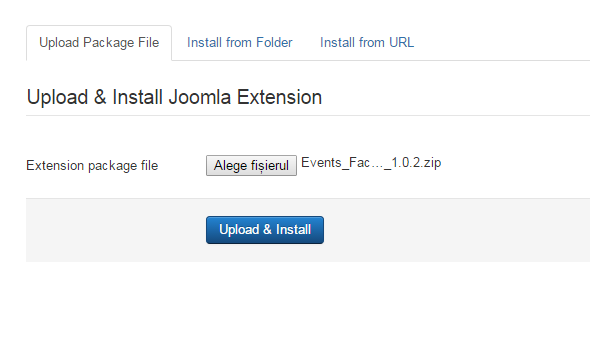 To install Events Factory you will need a working Joomla 3.x.x installation. 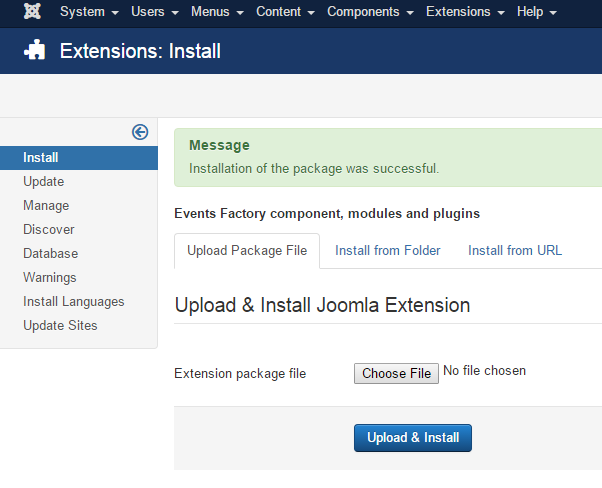 It is recommended to have the latest version of both Events Factory and Joomla for them to work properly. 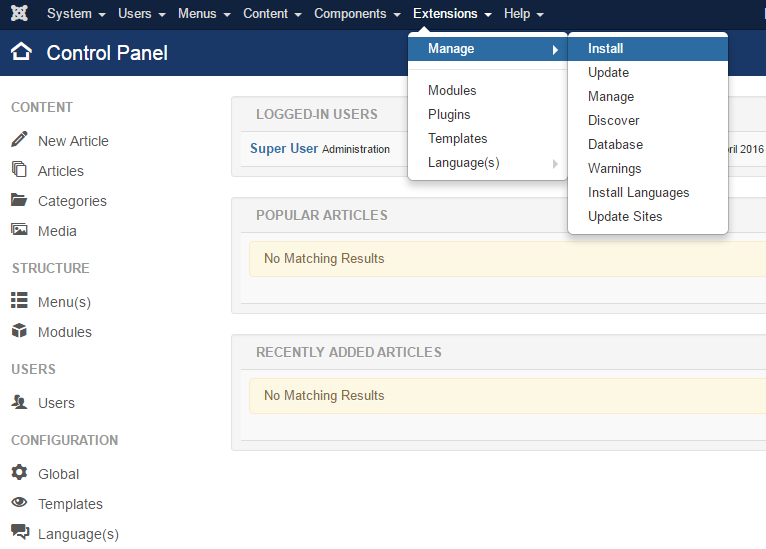 Go to Extensions/ Manage/ Install in the upper menu of Joomla's backend to start the installation process of our component. Proceed by clicking on the Choose File button from the Upload Package File area and by choosing the ZIP file from your computer. After doing so, click on the Upload & Install button to start the installation. (!) All the available modules for Events Factory are found in the component kit and will be installed automatically, for more information about the modules check our Events Factory - Modules Guide. In case you wish to uninstall the component, simply go to Extensions/ Manage/ Manage, check the "Events Factory" Package checkbox and click on Uninstall.